Football is a wonderful sport. It brings together players and fans from all backgrounds to experience the exhilaration of physicality and speed, the thrill of victory, and the lessons of defeat. To ensure the sport remains fun and fair for all, it’s essential to have proper officiating in place, at all levels of the game. 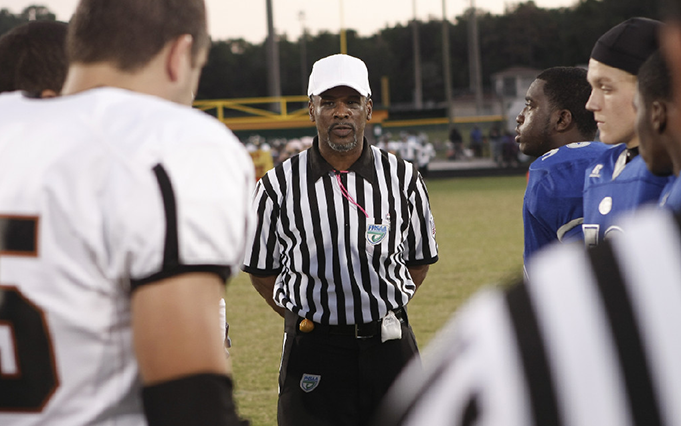 At North Florida Officials Association, we’re proud to serve as the football officials’ association for schools in Duval, St. Johns, Baker, Nassau, and Clay counties. For over 50 years, our organization has assigned officials for football programs at the middle school, high school varsity and JV, and flag football levels. United by our commitment to this special game, we provide resources and training for those interested in becoming officials, while representing officiating to the public. We’re looking for passionate, motivated individuals to serve as officials in one of Florida’s premier officiating associations. Well-trained officials can make all the difference in a ballgame, and local athletes deserve to have the best officiating possible. Become a football official with our association and together we’ll ensure that every game is officiated fairly and with dedication based on our love of football.